Two recent payroll tax cases in NSW and Victoria have highlighted the State Revenue Authorities' renewed vigour to undo well-accepted medical and dental practice structures. 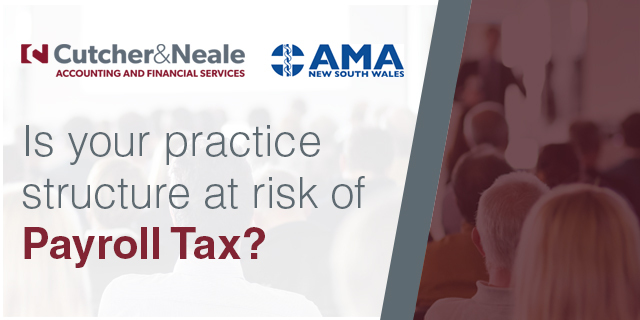 Join our seminar to hear the latest issues and ways to ensure you don’t fall foul of the payroll tax legislation. The seminar will be presented by Cutcher & Neale Partner, Stuart Chan. Stuart will also contrast the outcomes and discuss the details / arrangements you need in your practice (including service agreements, employment contracts and bank accounts), to ensure your structures are up to best practice standards.